How was your Christmas? I can’t find the perfect words to describe my 2010 Christmas. It was one of those ordinary Christmases, except for some silent realizations. My family does not really indulge on Christmas Eve dinners. We spent most of our Christmas in the province with my maternal grandparents. Having those bountiful Noche Buena was something I never really experienced. What I remember was my family having those regular dinners with my grandparents. We sleep early then attend mass on Christmas day. When I started working, I tried to give my family that Noche Buena experience. I would buy a KFC bucket meal or give money to Nanay (mother) to prepare a special meal. This year I decided to purchase a box of pizza for us to share on the eve of Christmas. We also had a sumptuous lunch and dinner. My Auntie's family who lives a door away also shared us a plate of spaghetti, crabs and their famous Chinese Asado. Food overload! My family didn’t stay awake all night. I attended the anticipated Christmas mass with Nanay and had our overloaded family dinner. On the day of Christmas, I woke up late, sumptuous breakfast from last night’s leftovers and a good news from my Nanay. Nanay told me that Dad woke up early to attend the mass and visit Lola’s resting place.The last time my Father attended a Eucharistic Celebration was during the funeral rites of Lola. But honestly, I have been apprehensive of receiving good news and blessings. I had this not so good experience with blessings received and taken away. I was somehow bound to believe that for every blessing I receive, a corresponding misfortune is about to happen. I know there will be a lot of trials to come. But my prayer remains the same. Please give me the strength, courage and understanding. Switching TV channels brought me to the local airing of Toy Story. Though I admit that I am still very kid at heart, watching movies in cartoons was not my interest. However, I have been hearing positive reviews about the Toy Story. I watched the movie and I’m giving it three words, I love it! It has a shallow plot that ironically touched the kid in me. 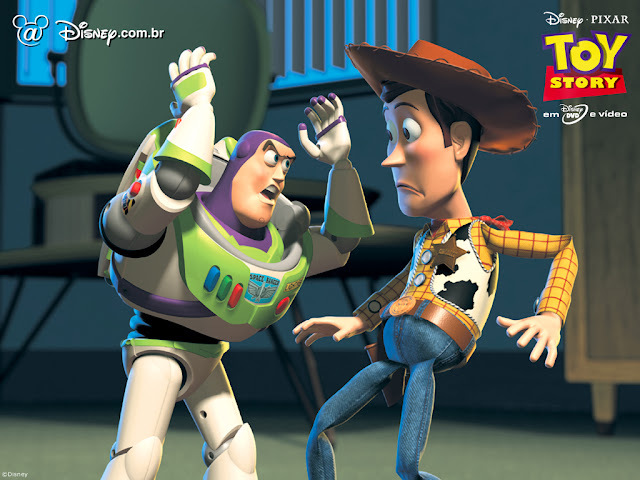 I now declare myself as an official fan of Woody and Buzz! In the afternoon, I visited my paternal Lolo (grandpa) and played with my seven year old cousin, Alexia. It wasn’t a perfectly merry Christmas for other people. But I am still thankful because I was able to spent Christmas with my family. Whatever will be God’s plans for me on the next years, I entrust it to Him. But for now, I am savoring the blessing of having Christmas with my family, who remains to be the main source of my inspiration, strength and happiness. Kamiseta Tin Cans are back!